Daylight filters through the filthy glass roof. Dead plants hang forlornly from a steel frame. The drained swimming areas are now just sunken tiled pits, covered in dirt and surrounded by fake rock formations. At this abandoned swimming pool in the center of Rotterdam, two guys are spending a lot of time hanging out in the dank basement and former changing rooms. Tropicana—the former “tropical swim paradise”—closed its doors to the public in 2010. For three years it sat dormant, until August this year. That’s when Mark Slegers and Siemen Cox started using the complex’s windowless spaces to grow pink oyster mushrooms. Co-owners of RotterZwam, the two entrepreneurs go around the city collecting used coffee grounds to make the substrate that feeds the mushrooms, and then sell the fungi locally. The term “urban agriculture” has received a lot of buzz in the last few years. Balcony tomatoes have become hip; Wellingtons are now a staple of European street fashion. For critics, however, small-scale private initiatives like window boxes and backyard chickens are a good way to encourage popular interest in gardening, not a viable way to feed hungry cities. The fragmented nature of these personal projects often prevents food produced in this way from reaching those truly in need. Such individual efforts need a system. In Rotterdam, the beginnings of such a system are beginning to take shape. City officials and residents have come together to create one of the most coherent, citywide urban agriculture programs in Europe. The municipal government has made food production a priority, facilitating private initiatives through its generous regulations and open-minded approach to creative strategies. The city believes that urban agriculture offers multiple benefits: local food production encourages social interaction, increases public green space, mitigates the urban heat-island effect and strengthens biodiversity. 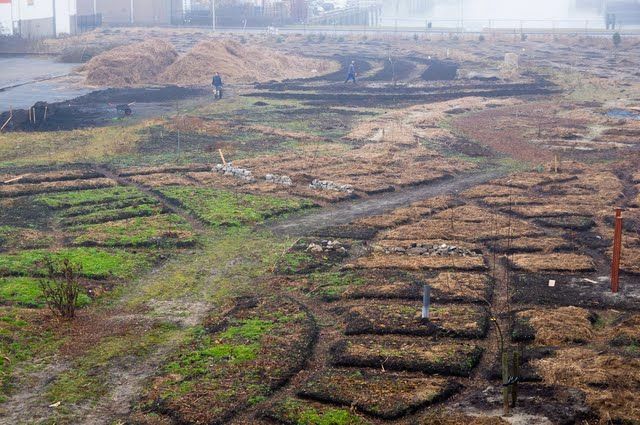 Urban and peri-urban agriculture has been defined as the cultivation of crops and rearing of animals for food and other uses within and surrounding the boundaries of cities, including fisheries and forestry. It comprehends a multifunctional of food production activities, as well as herbs, medicinal and ornamental plants for both home consumption and for the market. It contributes to fresh food availability of the urban dwellers, as well as to the greening of the cities and the productive reuse of urban waste. In developed countries, urban and peri-urban agriculture is recognized for this provision of local food, as well as recreational, educational and social services. In developing countries, urban and peri-urban agriculture provides income and employment and contributes to local economic development, poverty alleviation and the social inclusion of the urban poor and women. This type of agriculture mostly remains an informal sector that is not well integrated into agricultural policies or urban planning. From the perspective of the European Union policies, we will mention the Common Agricultural Policy (CAP). The CAP 2007-2013 supported several projects on peri-urban agriculture by the LEADER approach (community-led local development method for mobilising and developing rural communities through local public-private partnerships). Regarding the CAP 2014-2020, its measures are applicable to all farmers, including those located in urban and peri-urban areas, who fulfil the eligibility criteria (written question E-002381-14, 12 May 2014). This EPRS keysource presents a selection of information sources on urban and peri-urbanagriculture, inboth developedand developingcountries. See also the keysource on From urban-rural linkages to urban-rural relationships in the EU (February 2014). The UN forecasts that nearly 70% of the world’s population will live in cities by 2050 so it’s clear we need to grow more food in our cities. No surprise then to see a boom in Urban Agriculture, with projects starting up in cities the world over. Typically these use methods ranging from traditional raised beds to high tech, expensive aquaponics set ups. Why Grow On Coffee Grounds? Normally, growing Oyster mushrooms requires expensive pastuerisation equipment to sterlise the straw, but growing on coffee is much easier as the brewing process pastuerises the grounds. And there’s no shortage of grounds! So, by making use of all this waste you can add to a supply of local healthy food. 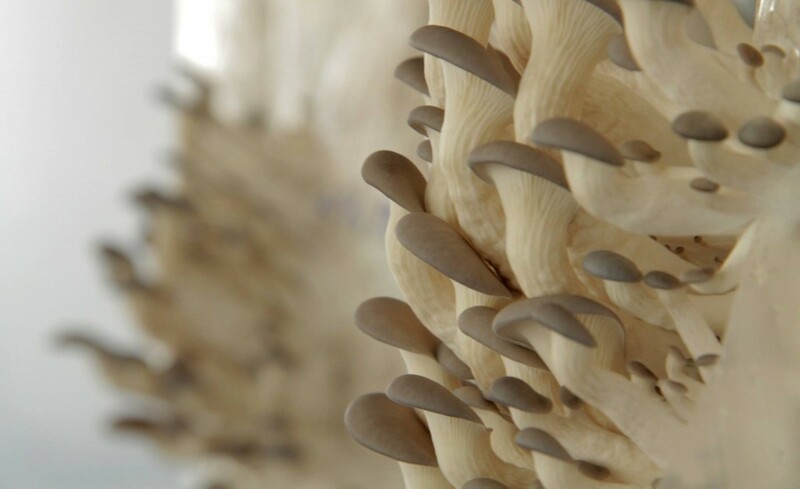 Picture a world in 5 years from now where there’s a Urban Mushroom Farm in every city. That’s what we at GroCycle are working towards. If you want to find out more sign up for more info about our online course, which opens for enrollment again at the end of this month.